ECCO is a world renowned brand that has been in the shoe business for ages. With great attention to detail, comfort, and quality, ECCO has a solid reputation for making shoes that almost mold to your feet. These days, ECCO offers an extensive golf shoe line and just so happens to make some of the best golf shoes available. 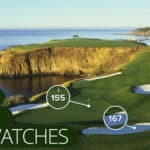 There seems to be a trend these days where companies are starting to enter the golf market in their niche area of expertise. This trend is to everyone’s benefit – and the Ecco Golf Causal Hybrid golf shoes are no exception. These are some of the best golf shoes the company offers, and some of their best shoes period. 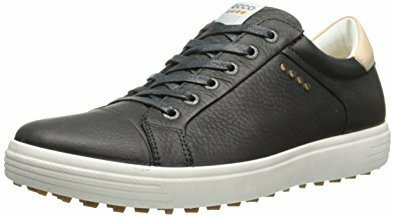 The Ecco Golf Casual Hybrid is made from a water resistant leather skin and is one of the best golf shoes for protecting your self in the rain. 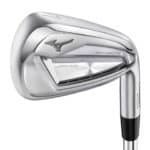 Your feet won’t get wet and you won’t slip in soggy socks while trying to hit a power fade. This is all due to the HYDROMAX™ technology that Ecco used for these golf shoes. 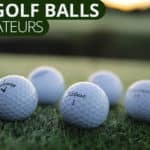 Dry feet are pretty essential when playing golf, especially if you swing hard. 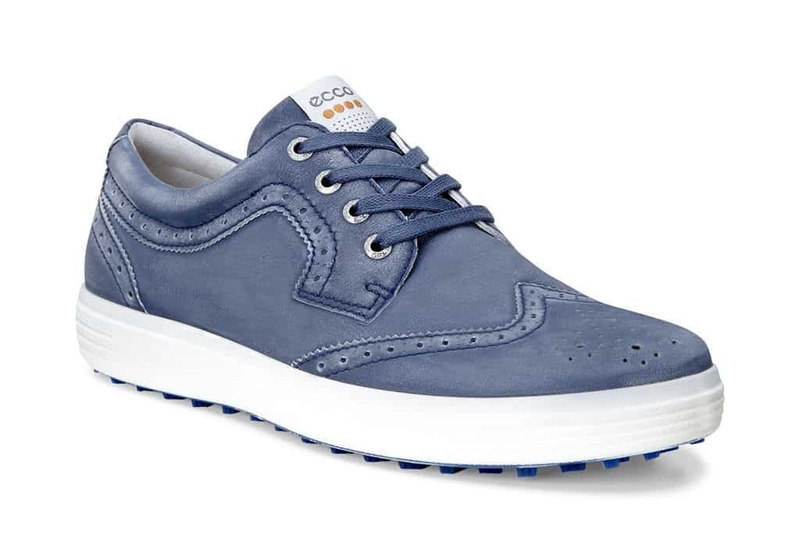 The Ecco Golf Casual Hybrid’s are great for keeping your feet dry. As we indicate above, these are some of the best golf shoes available for maximum comfort. Ecco did not cut corners with Ecco Golf Casual Hybrid golf shoe. And even better – they somehow managed to keep the price reasonable. From the soles of the golf shoe to the lacing, comfort is clearly a priority. You may not think that the tongue of a golf shoe is important, but it is. The Ecco Golf Casual Hybrid golf shoes feature a plush tongue. A major complaint with some other thin-tongued golf shoes is that the laces dig into the top of your foot during the round. This may force you to tie your shoes looser than you would like leading to less stability. This is not the case with these golf shoes. You can lace these shoes up tight for a snug fit without worrying about laces digging into your foot. The Ecco Golf Casual Hybrid golf shoes also feature a plush and cushioned interior that keeps the soles and sides of your foot comfortable throughout the round. The midsole in this shoe is a bit wider than you’ll find in other golf shoes (e.g. the notoriously narrow Nike golf shoe line). This is great if you naturally have wide feet. It’s also great if you have bunions and like a little extra wiggle room for your toes and the widest part of your foot. These golf shoes also feature a removable sole. In the event that you need a little extra space, you can easily take it out and create more room for your feet. In addition to being the overall best golf shoes, these are also the best golf shoes for wide feet. The Ecco Casual Hybrid golf shoes are spikeless golf shoes. There is a trend these days heading away from traditional spikes. Traditional spikes wear down after a while and require replacement. Spikeless golf shoes off you more comfort than a traditional spike without sacrificing grip and without requiring spike replacement. Sounds like a pretty good deal, right? The EccoCasual Hybrid golf shoes feature advanced E-DTS Hybrid Technology outsole which provides you with amazing grip and stability. Just taking a look at the picture above you can see that Ecco has maximized the grip on the sole of this golf shoe. 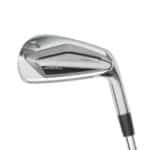 Players love the feel and stability that they get from a golf shoe that makes more contact with the ground when swinging and doesn’t slip in wet conditions. A win win. These golf shoes come in all kinds of crazy designs. Honestly, they range from fairly conservative black Ecco Golf Casual Hybrid golf shoes that you would wear with Khaki pants, to textured blue wingtips you’d see on a runway somewhere. All you need to do is simply pick a pair that fits your style. The Ecco Golf Casual Hybrid golf shoes are some of the best golf shoes available. 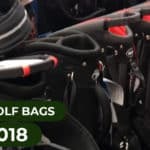 They’re super comfortable, they’re waterproof, they’re affordable, and they come in a number of different styles. We’re not sure how Ecco did this, but these golf shoes should be at the top of anyone’ list. 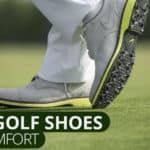 If you have wide feet, bunions, or your feet just typically hurt after a round of golf than these are definitely the best golf shoes for you. Do yourself a favor and replace your discounted Footjoys. You’ve earned it!